My favorites, the Peanut M&Ms, were added to the line up in 1954 so this 75th anniversary retro 1960s-style packaging I got today is accurate. For year number 75 (and, obviously, for advertising purposes) M&Ms is doing another vote. This time they’re looking for a new nut flavor. 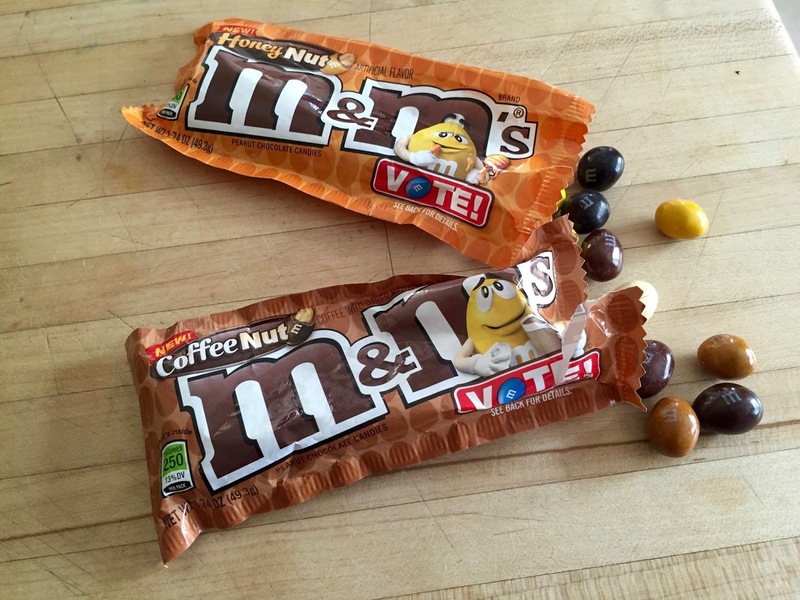 For a limited time, you can find all three choices in stores: Chili Nut, Honey Nut and Coffee Nut. Let's take a quick look at each variety. When it comes to sauces I like a little spice with my sweet so I expected to love these but they just left me cold. 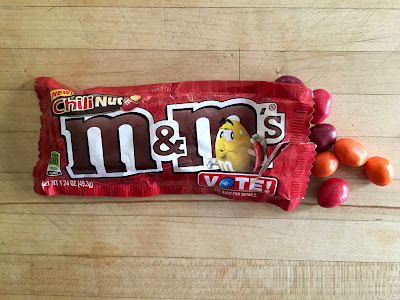 Not much extra taste at all – in fact, the nut actually seemed to get in the way of the chocolate – and, on top of that, the chili nut burn was mostly just a slight back-of-the-throat irritation. “Not as good and slightly irritating” probably isn't the advertising slogan they're looking for. Chili Nut does not get my vote. 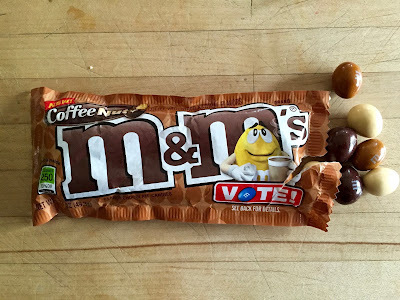 If you like coffee the Coffee Nut kind are pretty good. I don’t like coffee so, no. No thank you. These are sweet and earthy and remind me of pancakes with chocolate chips. 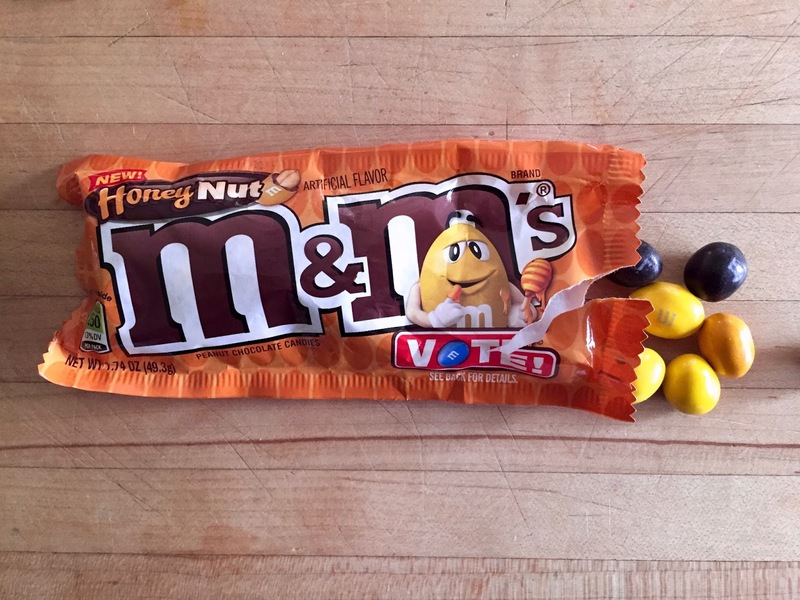 Oh yeah, Honey Nut M&Ms get my vote for sure. 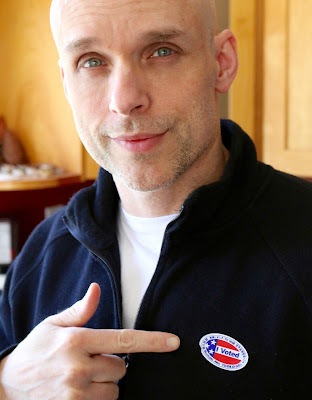 And remember, if you don’t vote, you can’t complain. Here’s a bonus, advanced technique. 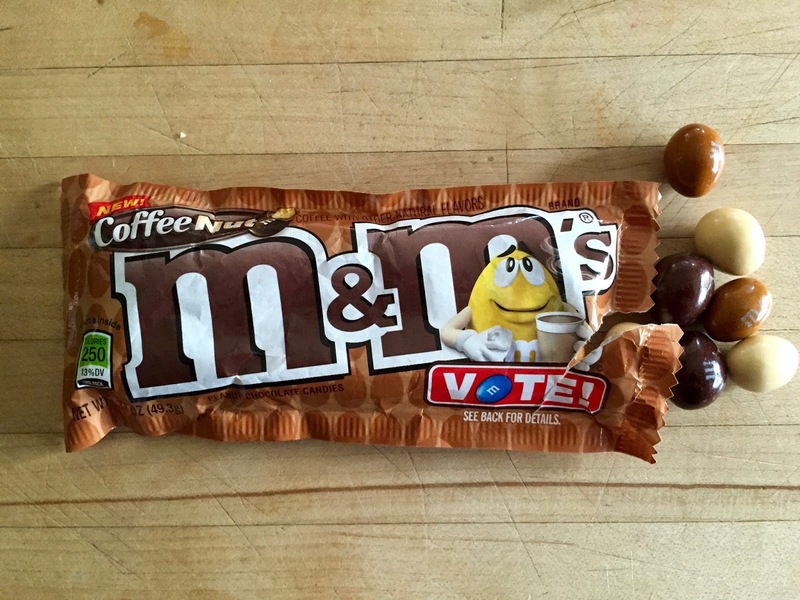 Mix the Honey Nut and the Coffee Nut kinds together for Coffee and Pancakes M&Ms. But you have to do it before 11:59 pm on June 17th. That’s when voting ends and all but the winner will be gone from stores. Well, the winner and the Chili Nut kind. I can’t imagine those disappointing bastards will sell out any time soon.